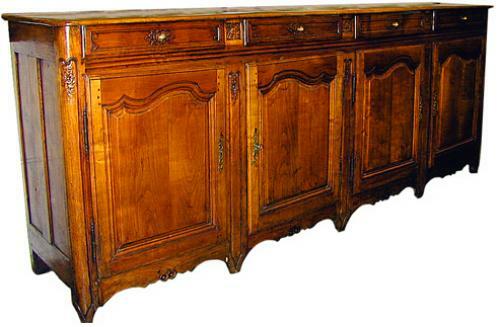 An 18th Century French Provincial Cherry Wood Four-Door Enfilade No. 1053 - C. Mariani Antiques, Restoration & Custom, San Francisco, CA. Height: 41 1/4"; Length: 105"; Depth: 21 1/4"